Reading significance into a speaker’s speech can be a hard task. And it can be harder if there really is no significance beyond the obvious. But that’s not stopped some commentators delving into the meaning and significance of recent Condoleezza Rice speeches by the former Secretary of State. Her recent speeches in Utah and Atlanta have fuelled speculation that she might be considered a suitable running mate for Presidential contender, Mitt Romney. That’s quite a claim when you consider that her speech in Utah, to an audience of Republican party donors, was behind closed doors. No press. No video and no transcripts. But her speech in Atlanta to an audience of personnel managers, only a few days later, was more public. So there’s a recording and a helpful transcript. Her Atlanta speech displayed her years of experience in international affairs. That might be useful in a Vice President for Mitt Romney. We can remember the last time that this decision was made. The world at large was introduced to Sarah Palin. What a difference a few years make. But her speech also signalled some interest in reforms to immigration policy. That might prove to be a sticking point with Mitt Romney, if Ms Rice is to be a serious contender for the role of Vice President candidate. Whether she’s serious or not is anyone’s guess right now. But these Condoleezza Rice speeches just might be a clue. 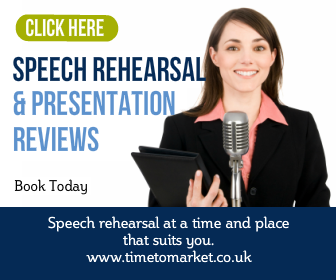 You can read more tips for public speakers with our regular series of posts, podcasts and training videos. 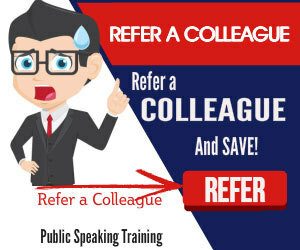 And, when you are ready to really give your public speaking skills a boost then why not consider some training. You can always join a course or we can organise one just for you and your corporate team. So, please don’t hesitate to get in touch when the time is right.